WordPress is a free personal publishing platform with a focus on aesthetics, web standards and usability. WordPress is both free and priceless at the same time. More simply, WordPress is what you use when you want to work with your blogging software, not fight it. To get started with WordPress, set it up on a web host for the most flexibility or get a free account on WordPress.com. 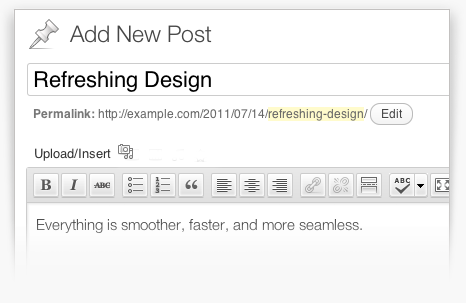 WordPress is a very nice open source application that is continuously improved. Security has improved a lot, and wordpress now powers 30% of all pages on the web. I'd call that market dominance, good open source. Wordpress is not a program and avoid It at all costs. Pros: WordPress is a CMS written in PHP. (PHP is a cripting language, so you can see the code in a text editor). It is not a Windows application, and it must be "installed" on a sever that runs PHP and MySQL compatible database. The installation, in short, is performed by uploading the compressed file in a specific directory of the web server and then extracting it. Now using the browser, enter the address of the web directory of the server, and the installation screen appears. Follow the instructions and connect to the database and the installation is done. WordPress is a very nice application that is continuously improved. Cons: - Although WordPress can be used as e-shop, i don't really recommend it. There are dedicated "Shops" for that. Bottom Line: WordPress is a very nice open source application that is continuously improved.